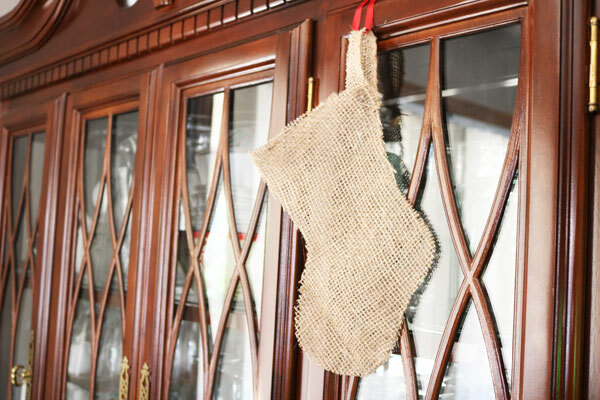 This no-sew burlap Christmas Stocking is perfect for a rustic Christmas celebration, or a simple way to celebrate Christmas in July! Make a burlap Christmas Stocking in only a few minutes, then tuck in a few treats to celebrate the holiday. 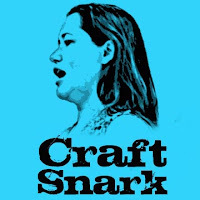 This craft is part of Craft Lightning week, Burlap edition. 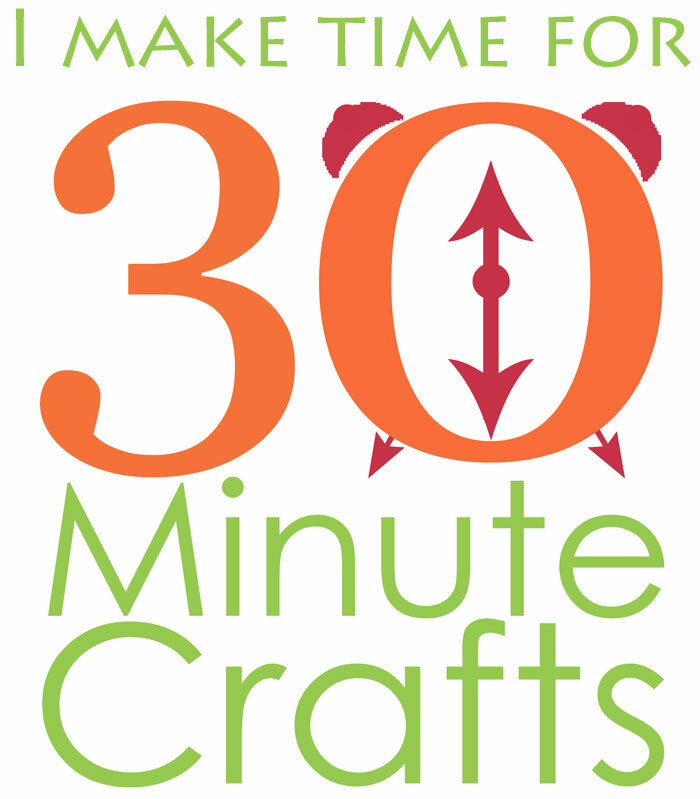 All week long my friends Angie and Beth are joining me to celebrate a week of Burlap crafts that you can make in just 15 minutes or less! 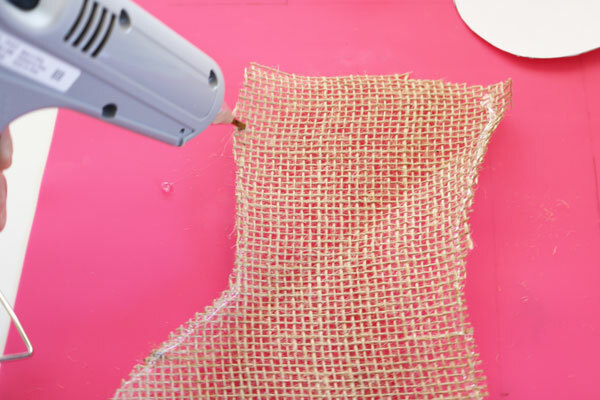 And we have some of our craftiest friends from around the internet joining in… be sure to scroll all the way down to check out today’s fun and fast burlap crafts! 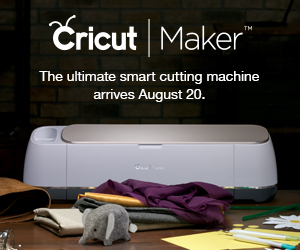 Print out the template, cut it out, then use it to cut out two layers of burlap. 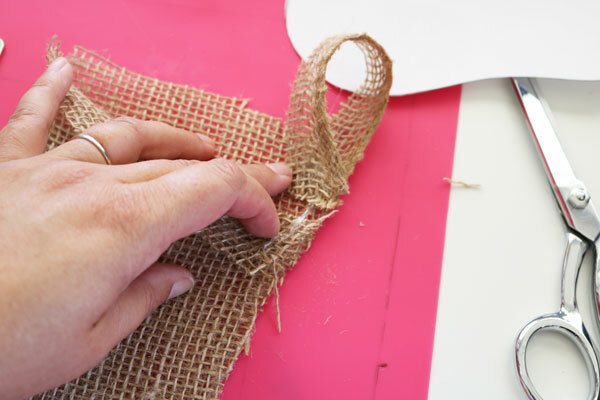 Cut a small strip of burlap to use as a hanging loop. Remove the top layer. Using the hot glue, make a line of glue about 1/4″ from the edge of the stocking all the way around (but not across the top). Place the top layer back, lining up the edges. Here is where the finger protectors can come in handy, as you press the layers together. 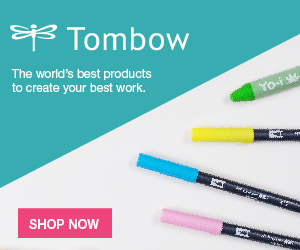 If you do not have finger protectors, use the end of a pen. 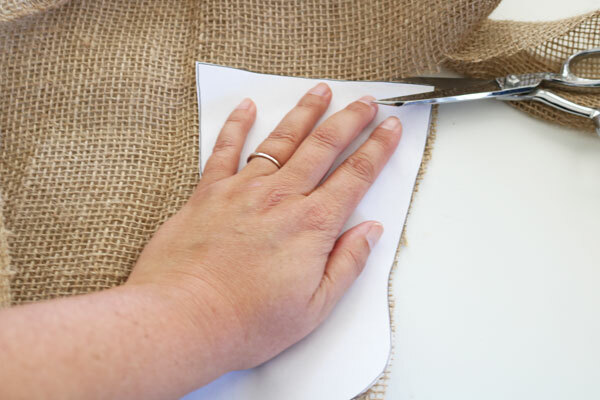 At this point, you can add the hanging loop with a dab of glue between each layer of burlap. Once the glue cools, you can hang your stocking! 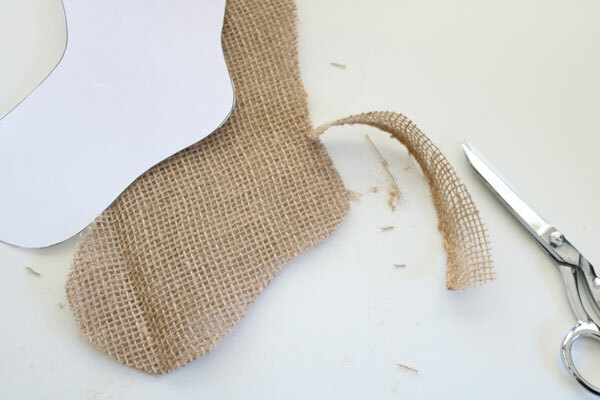 Check out these other great crafts that you can make using burlap, and just a few minutes! 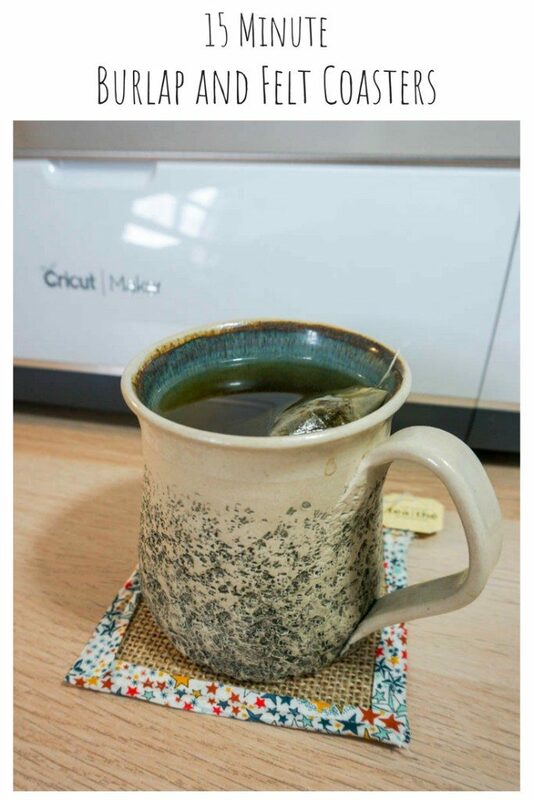 How fun are these burlap and felt coasters that Albion Gould whipped up? I’m loving the simple beauty of this burlap embellished embroidery hoop from Jen Gallacher. 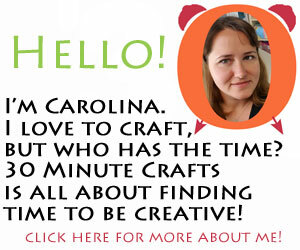 Deborah Quartermain tells you how to make a burlap flower banner. 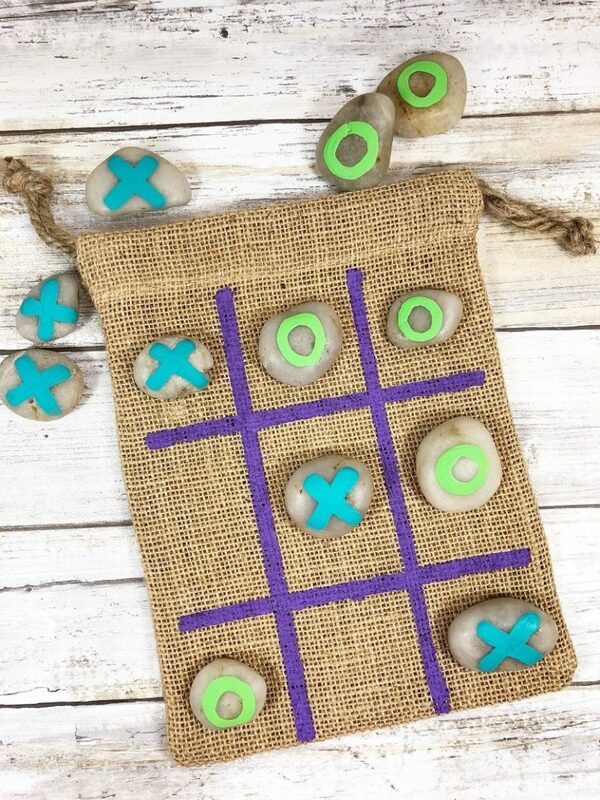 Great to keep kids entertained, make a burlap tic tac toe bag with Beth over at Creatively Beth. 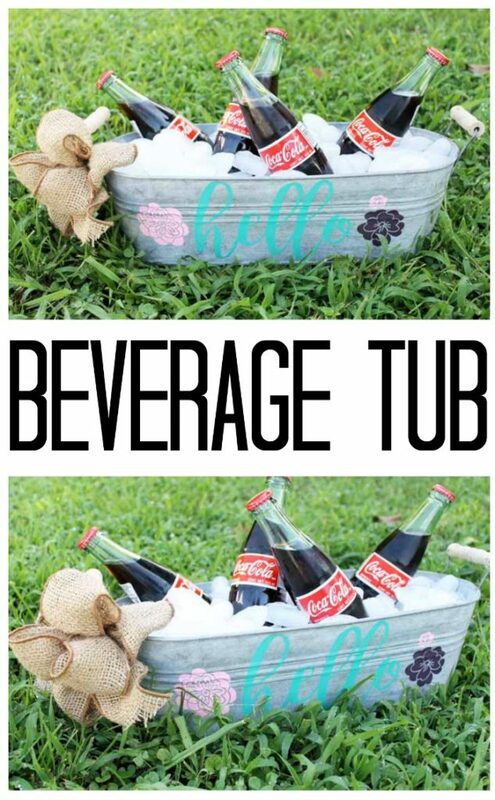 Angie shows you how a little burlap can go a long way in making this customized drink tub even cuter. I need an entire mantel of those!